When our professionals do the risk evaluation and find potential risky issues such as a diseased or damage plant limbs beyond repair, tree cutting may be needed. We know how complicated tree felling is and how costly mistakes can be; that is why you must always choose JM Lawn Mowing Tree Removal Service whenever required. 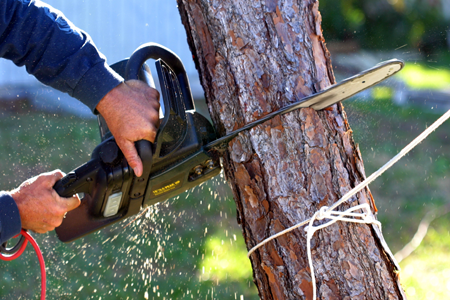 We remove tree debris from your yard and make sure that it is complete in the safest, most efficient and cost-effective way.